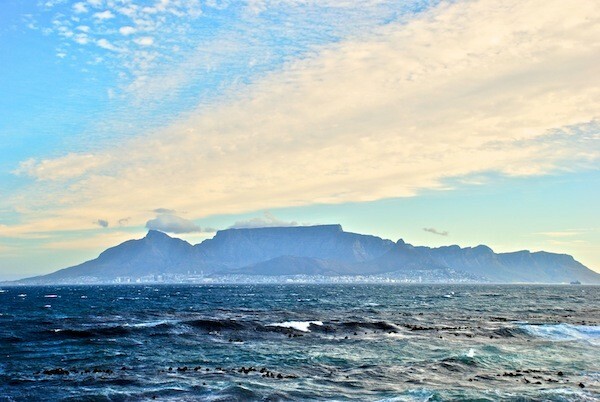 This week’s “Top Ten Tuesdays” post covers the South African city of Cape Town. Cape Town received lots of attention last year during the World Cup, and the tourism infrastructure is still in place allowing for easy transportation and lots of things to do, leaving you with endless options for entertainment. Here it is, enjoy! From the base of Afticaâ€™s most iconic mountain reams of visitors can be seen ascending by cable car â€“ but for the authentic and much more rewarding experience throw on your hiking boots and climb it yourself â€“ you hard work wonâ€™t be to waste! In just half a dayâ€™s trek you can enjoy the ever-changing views and earn the impressive vista of majestic Cape Town from the top. This is not to be missed. Cape wine is enjoying a renaissance worldwide and the combination of great soil and bags of sunshine means that vineyards are not only productive but the landscape looks lush and inviting. Try the incredible wine tasting tours and order a picnic from Africaâ€™s most impressive country estates. The Atlantic Ocean is known for surf, sharks and temperatures that will make you shiver â€“ but at least in the warm African winds will dry you off. The choice of beaches includes the four at Clifton, Camps Bay, Llandudno and Sandy Bay â€“ several of which are Blue Flag rated. Cape Townâ€™s heart is a vibrant cultural mix of African, European, Indian and even Portuguese influence. This is most evident in Cape Town restaurants where you can find pretty much any cuisine under the sun. Check out Long Street for the countryâ€™s coolest nightlife. See cute penguins at Boulderâ€™s Beach, visit ramshackle local villages and explore the impressive Cape Point. There are plenty of great walks and coves to discover and donâ€™t forget the lighthouse at the end. The centre of Cape Townâ€™s alternative scene â€“ youâ€™ll rub shoulders with hippies, students, artists and musicians while browsing the organic and locally sourced food stalls. The market is open on Saturdays from 9am to 2pm on Albert Road, Woodstock. Cape Town caters for everyone â€“ for a beachside beverage go to the bars of Campâ€™s Bay or really camp it up at Green Pointâ€™s vibrant gay scene. The city centre offers the most variety so when in doubt head to town and simply follow the crowds. Buy your favourite bottle and take it one of Cape Townâ€™s most spectacular viewing points to catch the sunset. Options include Chapmanâ€™s Peak Drive, the rocks at Llandudno, the beaches at Clifton, Lionâ€™s Head or Signal Hill. If you donâ€™t know your way around visit the townships around Cape Town with a local tour company who know the locals as well as the best places to visit. The food, company and friendly atmosphere will ensure youâ€™ll have a day not to be forgotten. No top 10 or Spain or Portugal? 🙂 Love your top 10 lists on Tuesdays! Haha, not yet. And thanks! Technically I had Mallorca last week but that doesn’t really count as Spain, haha.